If you have kids you probably have a box full of “stuff” that you swear one day you are going to use to create some kind of craft with your kids. Well, today is your lucky day! 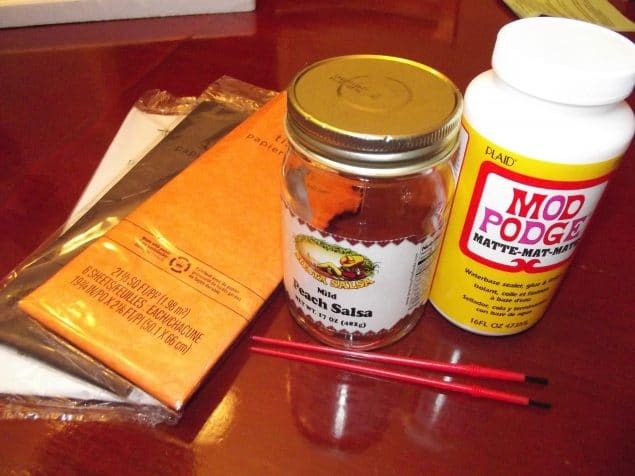 Dig out those mason jars and lets make the perfect craft for Halloween! Note: If you are going to be working on this craft with small children, please monitor and supervise children during the activity! 1. Start by removing as much of the wrapper off your jar as you can. Don’t worry if you can’t get it all of its going to be covered up anyway. 2. Using the paint brush apply it to a small part of the jar and then cover with orange tissue paper. Then apply a thin layer of glue over the top of the tissue paper . Continue this around the jar until it is covered. *Tip* Don’t cover too much of the jar with glue at a time as it will become too tacky before you can get to it. 3. While you are waiting for the glue to dry on your pumpkin paint the lid of the jar green or black. 4. 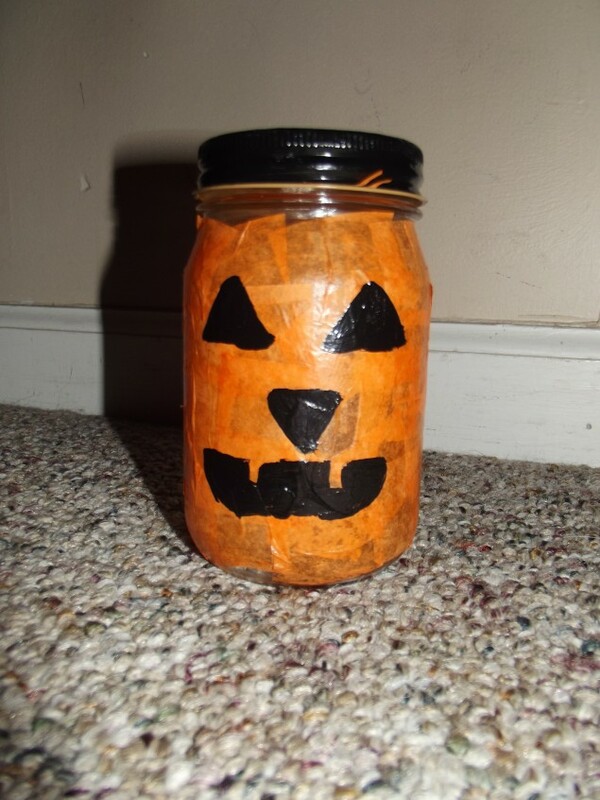 Once your glue is dry, using your black marker or paint, create your Jack-O-Lantern on the the outside of the jar. 5. Place a flameless tealight candle inside your craft and display! This same technique can be used to make ghosts or Frankenstein or just about anything else your fingers can imagine. 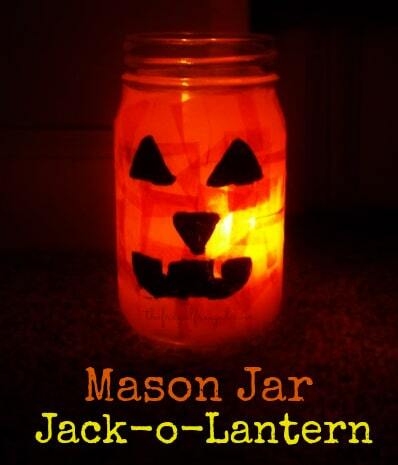 Are you going to make a mason jar jack-o-lantern this year? This looks like it might be fun for teenagers. I’ve been looking for crafts for my son and I to do. Cute idea , good kids craft! This is too cool! And I’m pretty sure I’ve got everything to make it already! OK – this looks like one even the not-so-crafty me can do! Thanks for the idea. Awesome idea! I could definitely do this for the Halloween. I think jar jack-o-lantern is much better than making one out of a pumpkin. Plus we don’t have pumpkin here! Good idea for an inexpensive way to celebrate Halloween.